For injecting precise quantities of chemical product in a treatment process. A single moving part displaces the diaphragm. This mechanical design draws very little power and enables the pump to be hermetically sealed. For precise chemical dosing, from manual mode to proportional or programmable mode, for water treatment and other industries. A range of chemical dosing tanks manufactured in UV stabilised MDPE with screw lids for safety. Split-level top design gives extra strength and provides an area for mounting equipment such as pump and agitators. 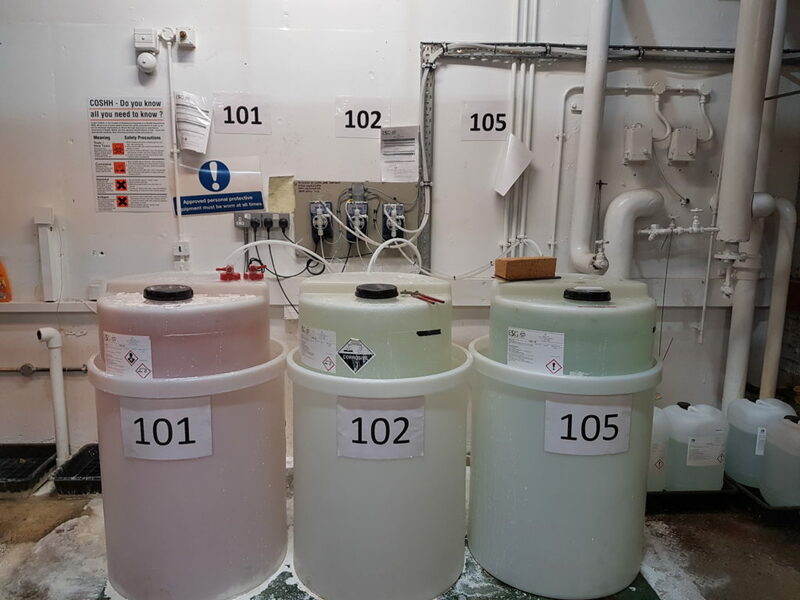 image shows chemical dosing package supplied, installed, commissioned and serviced by Cedek Water Treatment on the boiler feed at an NHS hospital.